Personal injury attorneys are typically excellent salesmen in comparison with claims adjusters. Most attorneys have not only had the advantage of having gone to law school, but they quite frequently have had the benefit of several years of experience in dealing with claims adjusters. A skilled personal injury attorney is well aware of the fact that he or she is selling your pain and suffering, as well as the related lost wages and medical bills. An attorney will certainly know how to bundle “the product” in way that will be most favorable to his or her client. Attorneys would much rather “sell the package” instead of sue for such damages, which will require a great deal of time and money for both the attorneys and their clients. Therefore, the majority of personal injury attorneys are eager sellers of their clients’ alleged damages. There are many distinct attributes that you, as the client, should look for when selecting a qualified lawyer. For instance, a good attorney will spend quality time with the claims representative and make him or her feel as though they are on equal footing. Claims adjusters do not like to feel as though they are underlings when dealing with attorneys, so your attorney should do his or her best to quell those feelings if at all possible. Also, a good personal injury attorney will have no problem giving the claims adjuster any information that may be necessary to move the settlement process along. For instance, if the adjuster does not have a copy of the police report, your attorney should willingly offer a copy to him or her to aid in the processing of the claim. Further, a competent personal injury attorney will have an idea of what information the adjuster needs to evaluate the claim. Moreover, the attorney will know, even if the claims adjuster does not, what documents the adjuster needs. For example, if you were involved in a car accident, the adjuster will undoubtedly need copies of the police report, medical bills, medical report, and a statement of lost wages. 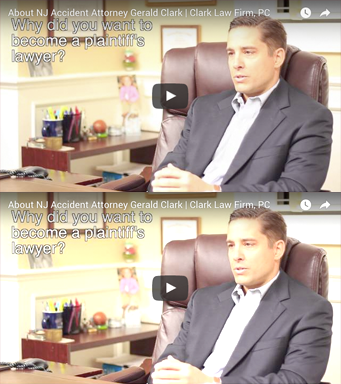 If you need a personal injury attorney, please don’t hesitate to call the Clark Law Firm today to schedule a consultation.